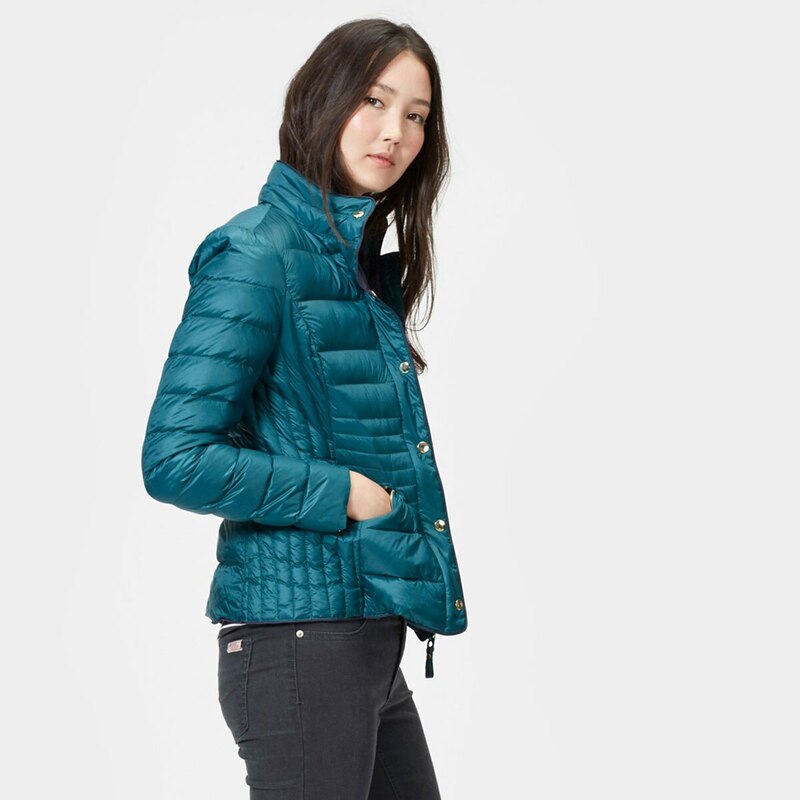 Joules Warmheart Down Jacket- Clearance! 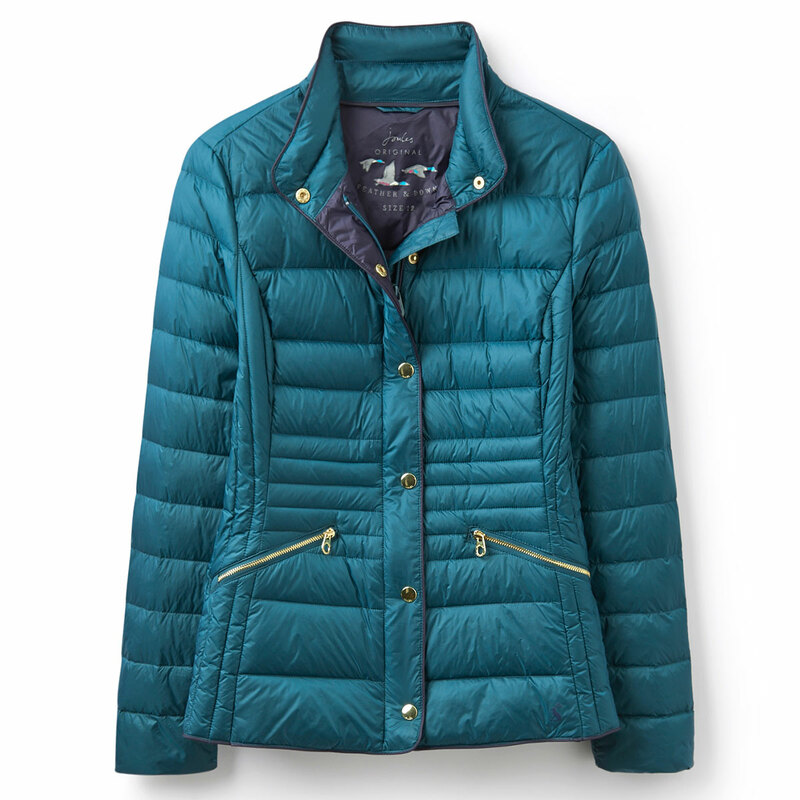 The Joules Warmheart Down Jacket is an ultra lightweight feather and down filled jacket that will be a cold weather all star! 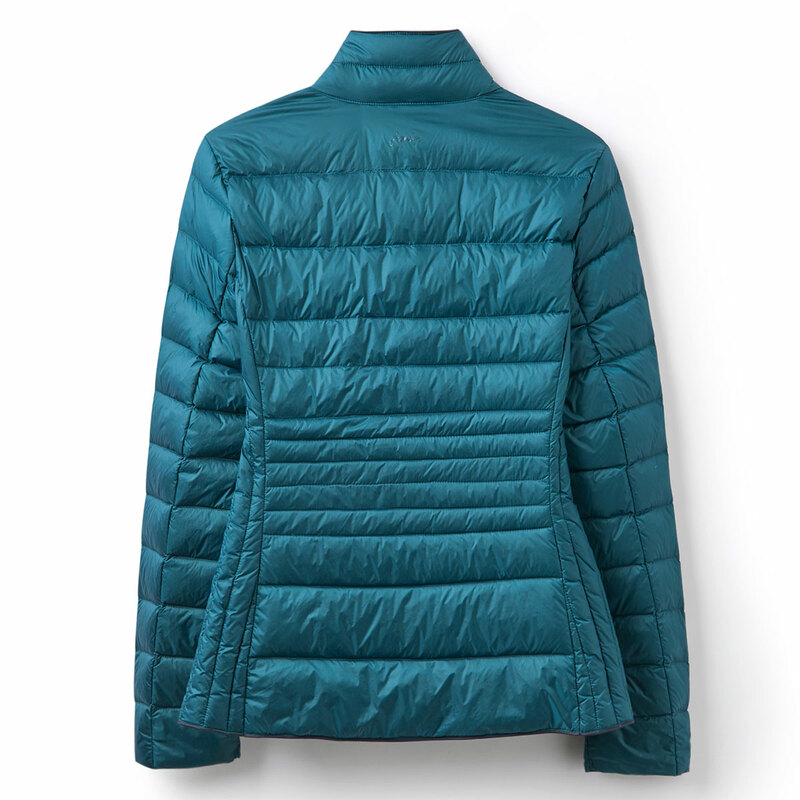 Not only is this jacket perfect for wearing on its own, it also functions as a layer piece for when extra warmth is needed. The flattering illusion quilting helps to create an attractive shape while the hem is slightly longer and curved which provides extra protection from the elements and gives shape to the piece. Wear as a stylish barn coat or take it out and about just about anywhere! 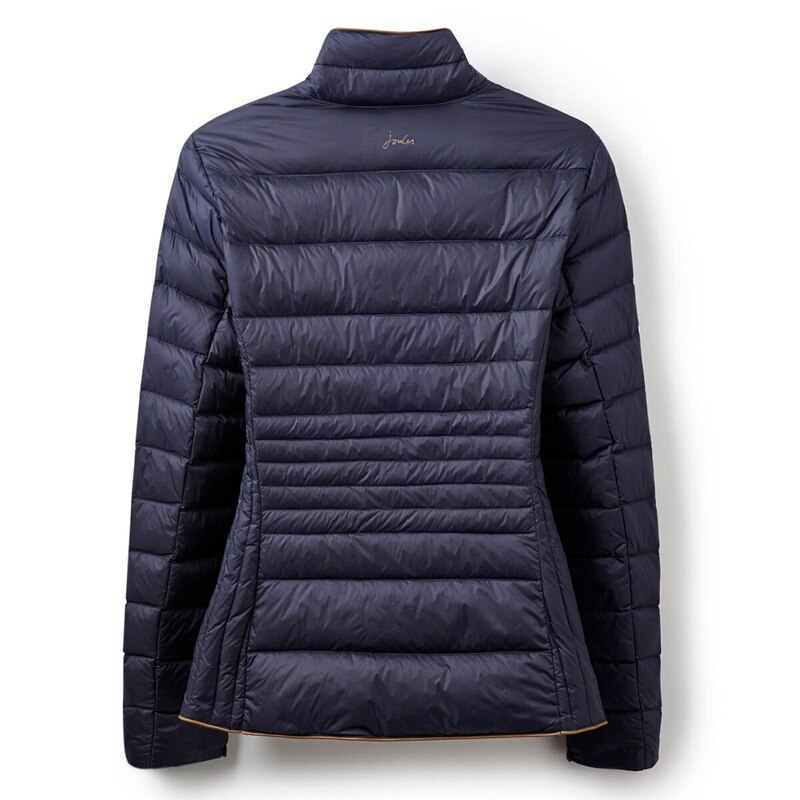 Joules Warmheart Down Jacket- Clearance! is rated 4.7 out of 5 by 3. Rated 5 out of 5 by AmyB from Very warm! I bought this a month ago! First it fits great, very flattering. 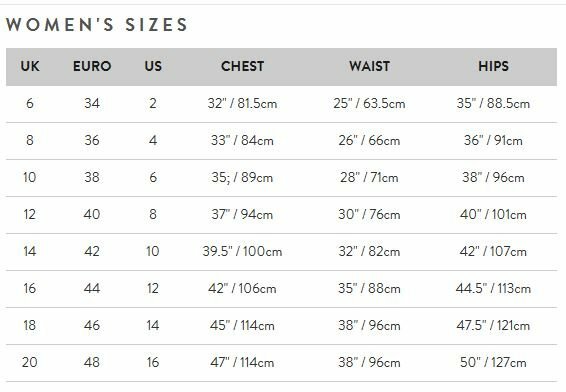 I bought a 10, but probably could have gone with an 8, but would say it runs true to size. Warmer than expected given how it's light weight and not bulky. I wore it doing barn chores in -25, layered with a wool shirt under and a Landway soft shell over. Super warm. 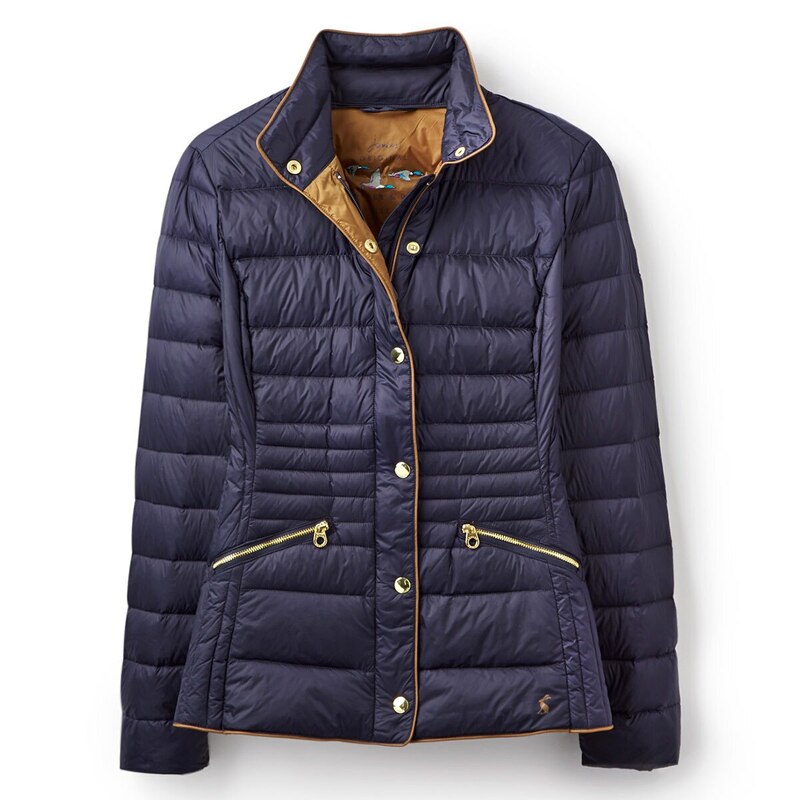 This is a great staple for my riding wardrobe. Rated 4 out of 5 by Fiona from Super cute, wish the sleeves were longer This jacket is super cute and I would have loved to keep it, but sadly the sleeves were too short. I do have very long arms, but they needed to be closer to fitting properly for the price. Otherwise a very flattering fit. Rated 5 out of 5 by Benny from Great Jacket, well fit, wonderful fabric Love this jacket, comfy & cozy, looks great. Great cut, super comfortable absolutely perfect.